Manuel Enrique Robles Lopez, 21, Denis Ludwin Espinal Alvares, 19, and Erick Alexander Contreras Navarro, 23. Police identify man abducted, killed and set on fire in Va.
Nearly two months after the body of a man was found inside a burning car in Va., police have identified the victim. WOODBRIDGE, Va. (WUSA9) — WOODBRIDGE, Va. (WUSA9) - Nearly two months after the body of a man was found inside a burning car in Va., police have identified the victim. Wednesday, the victim was identified as 25-year-old Santos Arquimidis Sorto, of Woodbridge. On March 14, police said Sorto was reported missing by family members after he did not show up for work and was unable to be reached. The next day, investigators believe a group of MS-13 gang members abducted Sorto from his Woodbridge-area home. Police said they shot him several times and placed his body in his car's trunk before setting it on fire. Police said the victim did not know the suspects and is not a member of any gang. 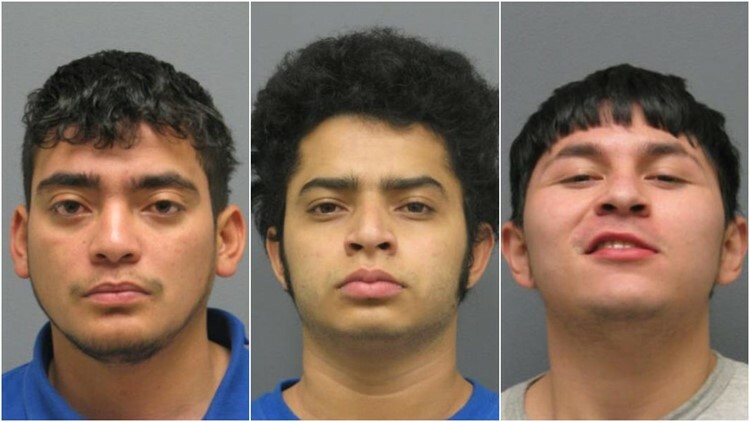 Manuel Enrique Robles Lopez, 21, Erick Alexander Contreras Navarro, 23, Denis Ludwin Espinal Alvares, 19, and a 17-year-old male were arrested in connection to the murder.